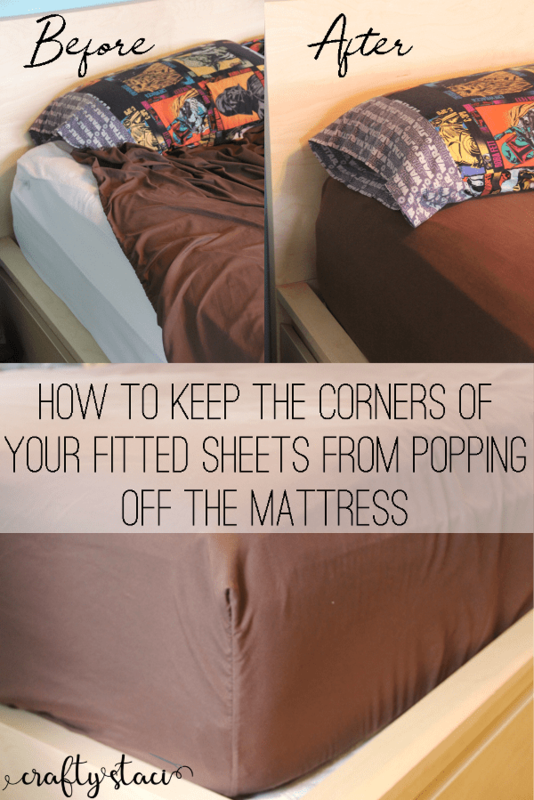 Do the corners of your bed sheets pop off the mattress while you're sleeping? I tried all the store bought solutions to this problem that I could find, but none of them worked for long. I finally came up with an easy sewing DIY that's permanent and can be washed without any extra care. This project only requires minimal sewing skills and supplies, and takes very little time to finish. No more rogue sheet corners! Learn how to box corners of bags with this FREE Tutorial. What a wonderful solution. I have been fighting this problem since fitted sheets were invented. Got to go now and take all the sheets out of the cupboard and fit them with elastic.